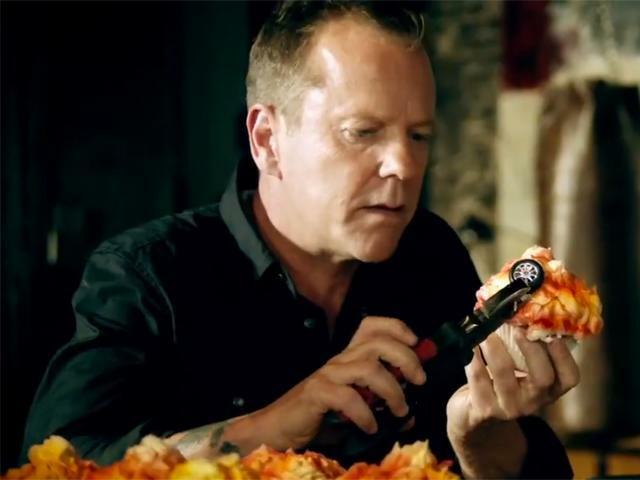 While the world waits for a big screen revival of 24, for now we'll have to make do with Jack Bauer hawking Acer ultrabooks … and making cupcakes. Nothing can quite convey how intense the Acer Aspire 35 Ultrabook is like Jack Bauer (Kiefer Sutherland) putting back on his gravel-like line delivery. If you have ever wondered where the icing is in a grocery store, this is how you ask. While AdWeek takes the spot to task for not playing up the brand more – it is their job after all to point things like that out – we can't say we rightly care and we will gladly take two of the Dynamite Cupcakes … and an Acer Aspire 35 Ultrabook as well if it means you won't hurt us Mr. Bauer, sir.